An explosion is an extremely rapid release of energy in the form of light, heat, sound, and a shock wave. The shock wave consists of highly compressed air that wave-reflects off the ground surface to produce a hemispherical propagation of the wave that travels outward from the source at supersonic velocities. As the shock wave expands, the incident or over-pressures decrease. 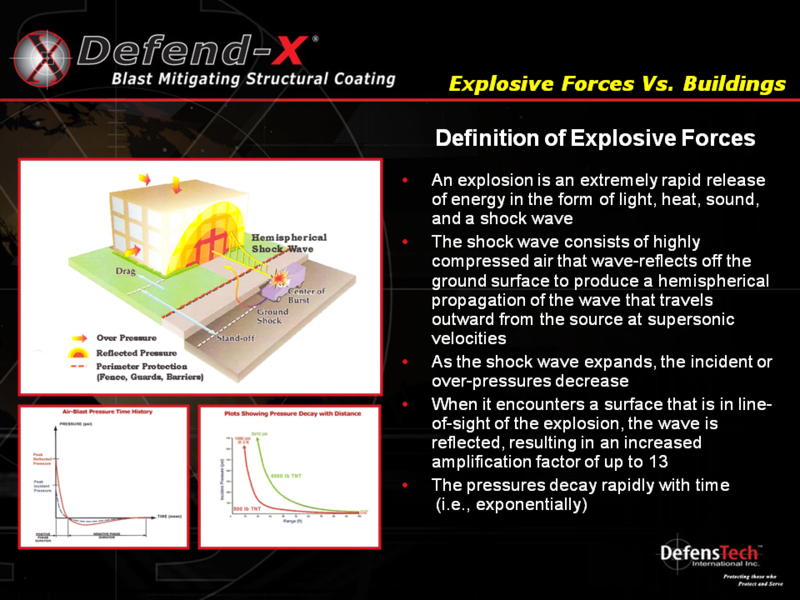 When it encounters a surface that is in line-of-sight of the explosion, the wave is reflected, resulting in an increased amplification factor of up to 13. 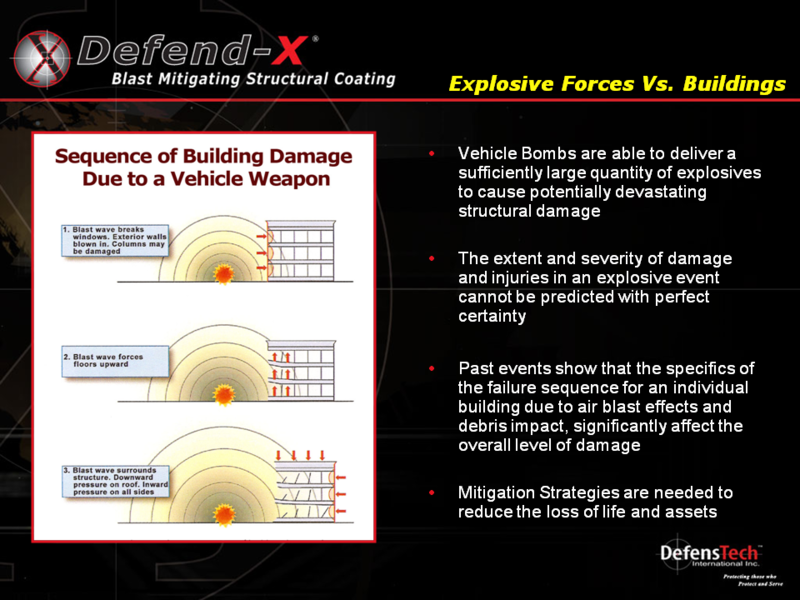 Vehicle Bombs are able to deliver a sufficiently large quantity of explosives to cause potentially devastating structural damage. The extent and severity of damage and injuries in an explosive event cannot be predicted with perfect certainty. Past events show that the specifics of the failure sequence for an individual building due to air blast effects and debris impact, significantly affect the overall level of damage. Mitigation Strategies are needed to reduce the loss of life and assets.